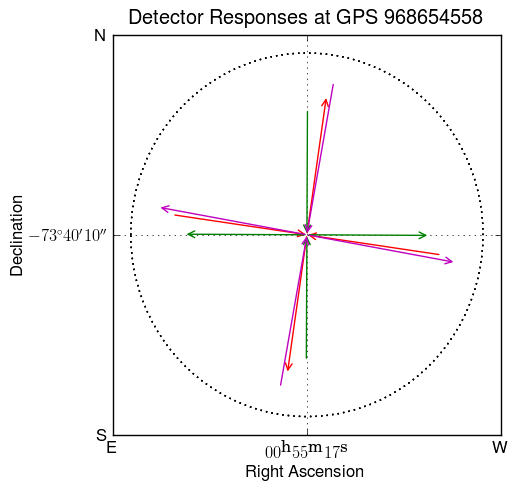 Note that the arm directions do not take into account any map projection effects, they simply indicate the direction of the arms relative to local north. 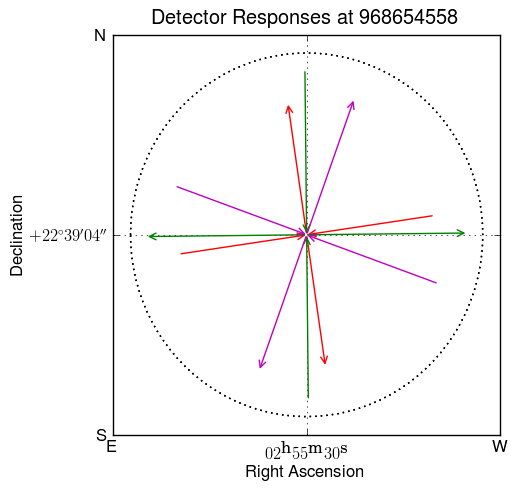 In three dimensions, each of the patterns shown above lies in a different plane, tangent to the sky at the position shown. 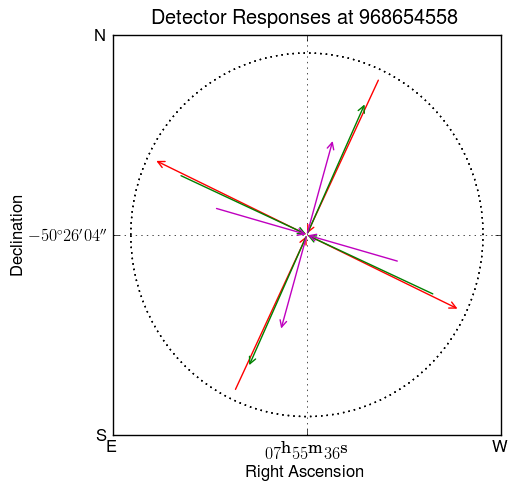 To illustrate the response to a gravitational wave coming from an arbitrary direction, we use the fact that for any detector and any sky position, we can construct an equivalent interferometer, for which that sky position is overhead, which would register exactly the same GW strain as the actual detector, for signals coming from that sky position. 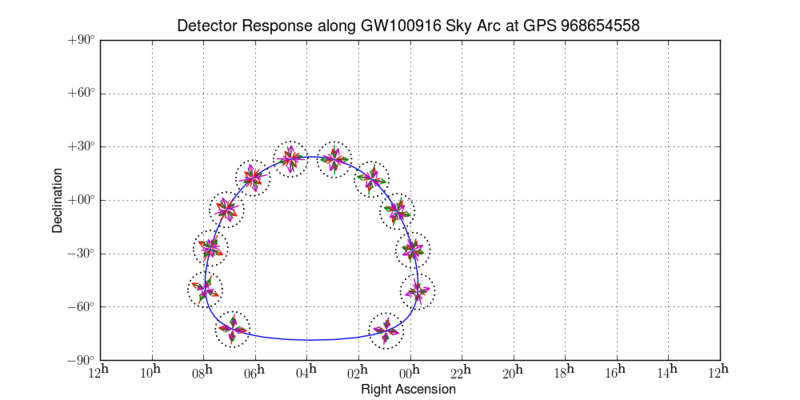 In general, this artificial equivalent interferometer will have shorter arms, reflecting the less-than-optimal response of the real interferometer to gravitational waves not coming from its zenith. 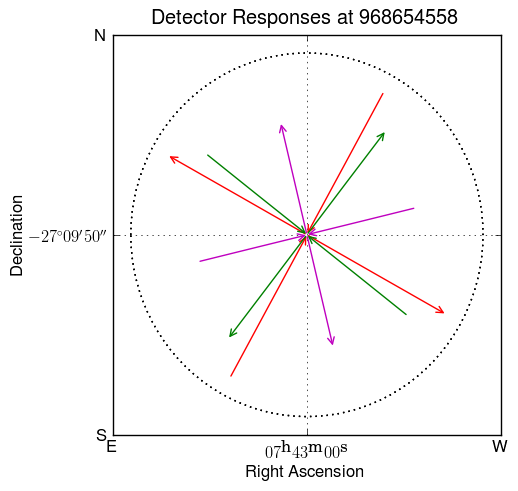 The dashed circle indicates the maximum possible response, and Virgo (magenta) lies on that circle because this is an optimal direction for Virgo. 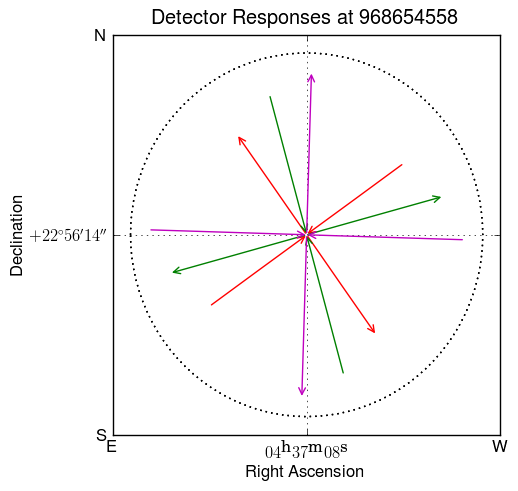 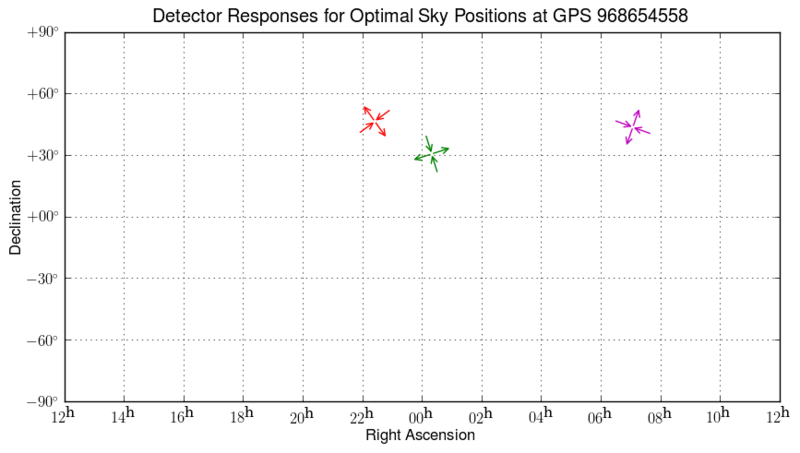 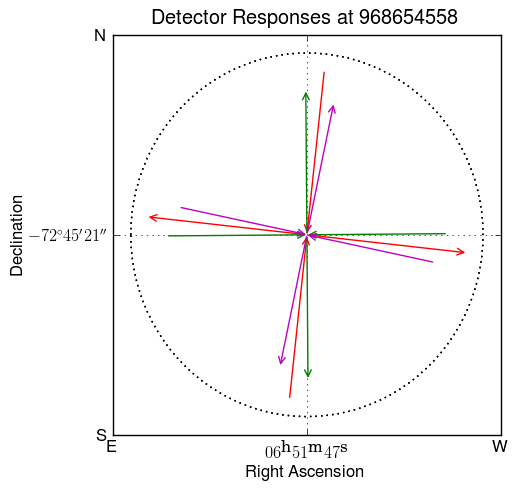 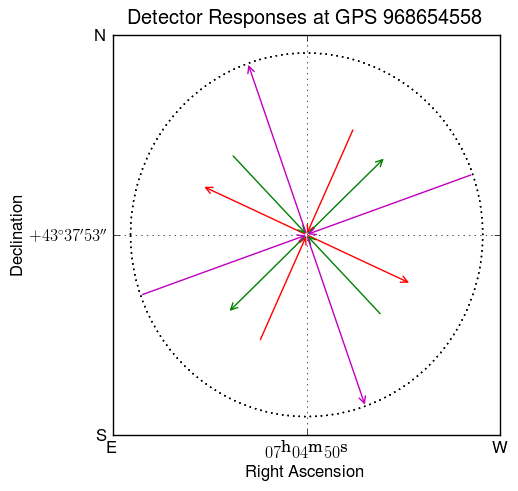 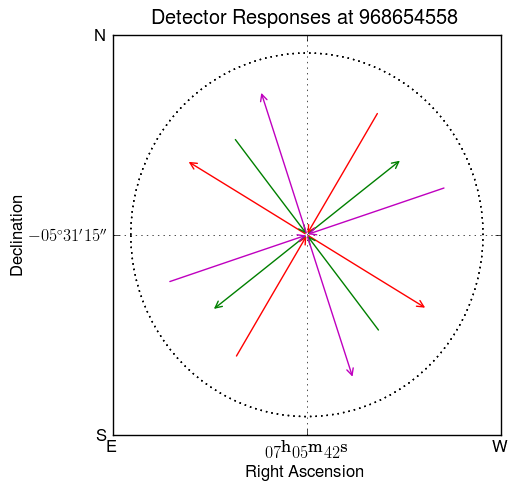 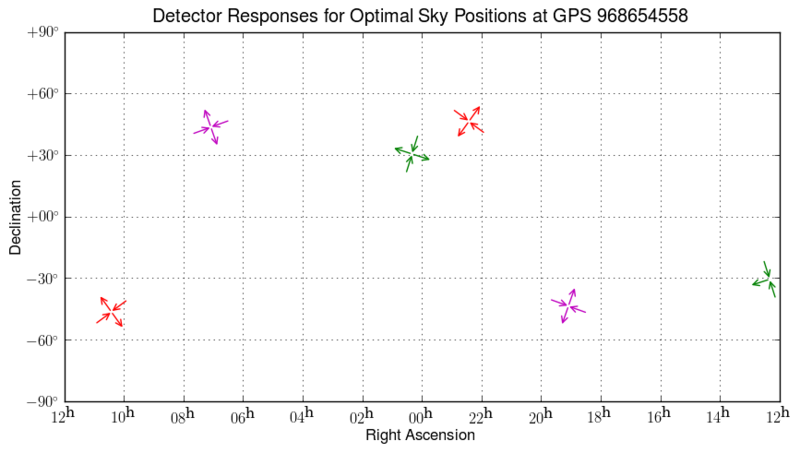 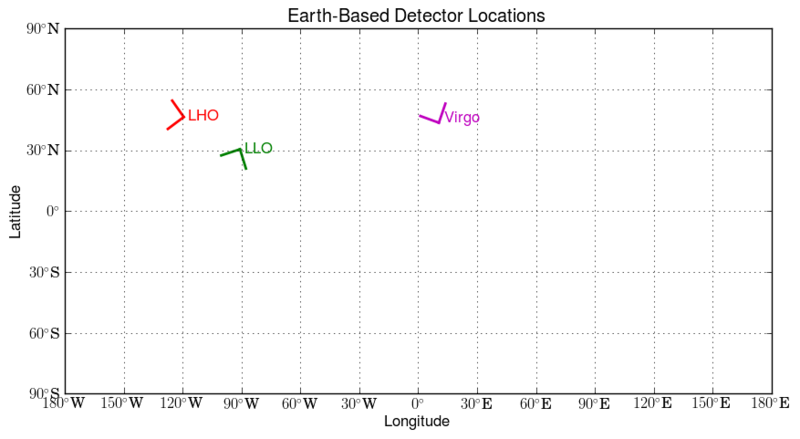 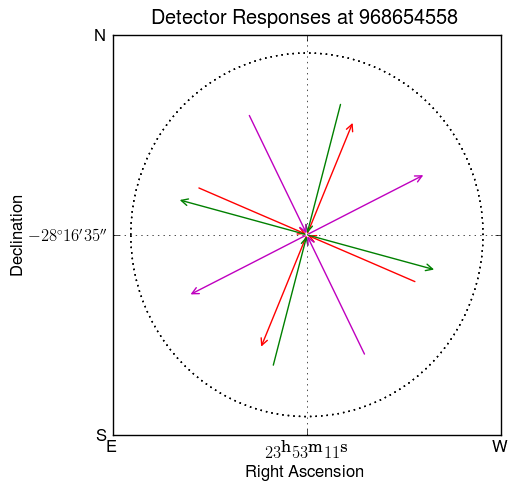 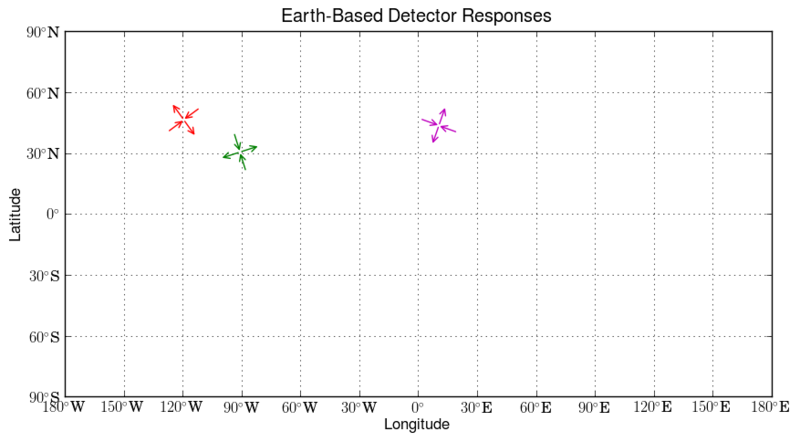 The lengths of the arrows for LHO (red) and LLO (green) indicate the reduction in response for those detectors for this non-optimal sky position.